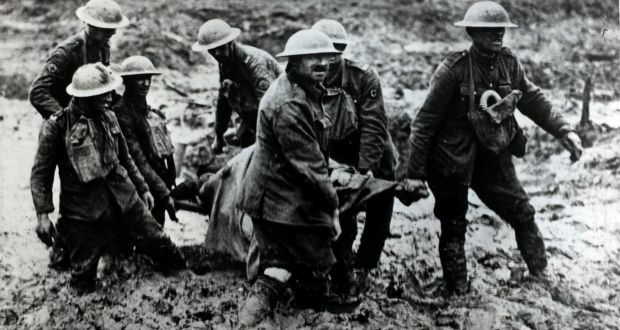 The First World War battle of Passchendaele came to its bloody end 100 years ago this month. Amidst the devastating casualty rate, horrific conditions and countless tales of suffering I think of my grandfather, John Patrick O’Reilly, a lieutenant in the Royal Dublin Fusiliers and his futile protests against the orders of his superiors – which he believed were needlessly wasting lives. I wish it could have been different. This entry was posted in Michael Jones' Blog. Bookmark the permalink.